This Summer, the libraries are getting ready to rock! Join us throughout the summer for Tween and Teen events focused on art, music, reading, and creativity. Make new friends, learn about artists, do something for the community OR...just, you know, hang out! 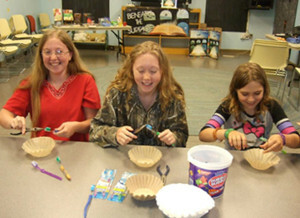 Macon County Public Library has an active teen community with programs to suit your interests! Come join us for Teen Advisory Group (TAG), Each Person Is Creative (EPIC), or Anime Club for a great time with awesome people. TAG stands for Teen Advisory Group and is open to 5th-12th graders. TAG is designed to energize teen programming and services as well as allow teens a greater voice at the library. TAG shows teens they’re important and that they can contribute in a meaningful way. In addition, TAG helps give library staff the teen perspective. The Macon Library TAG meets on the last Wednesday of each month during the school year, from 3:30-5:00 p.m.
contribute valuable ideas for teen programming and collection development. watch book trailers and enjoy displays of the latest YA books. meet other students from public and private schools, as well as homeschoolers. enjoy refreshments, prize drawings, games, contests and more! Check out the TAG blog for updates! Anime Club is open to 5th-college-age. Anime Club members share a love of everything Japanese! 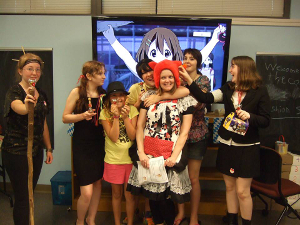 The club focuses mainly on watching anime movies and television shows and some group discussion, however there are often special activities and events that take place. Anime Club meets on the first Thursday of every month during the school year, from 4:00-6:00 p.m.
learn basic Japanese words and about Japanese culture. ​enjoy Japanese/Anime related crafts and materials are provided for drawing anime characters. 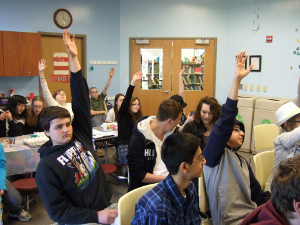 Teens aged 14 and up can participate in a volunteer program at the library. Interested teens may fill out an application at the library. Volunteers come in a few hours a week and assist with many tasks in various departments. Library volunteer work can be used as school credit. Library staff will also serve as references or write recommendations for jobs or college applications.